The program traverses this string in a loop and uses it to play the required bell numbers in turn. Unlike the harp and previous voices I have used, it was appropriate in this case not to truncate the sounding of the bells too much. I set the sustain value of each note to 0 and the release time to 1 second. This dampened it a bit, but I found that playing the sample totally unhindered rang for too long for the speed at which I wanted to ring the bells. sleep 0.3+rrand(0,0.2) between the bells, instead of sleep 0.4, so that the bells are not exactly timed correctly. puts"Sonic Pi goes bell ringing!" 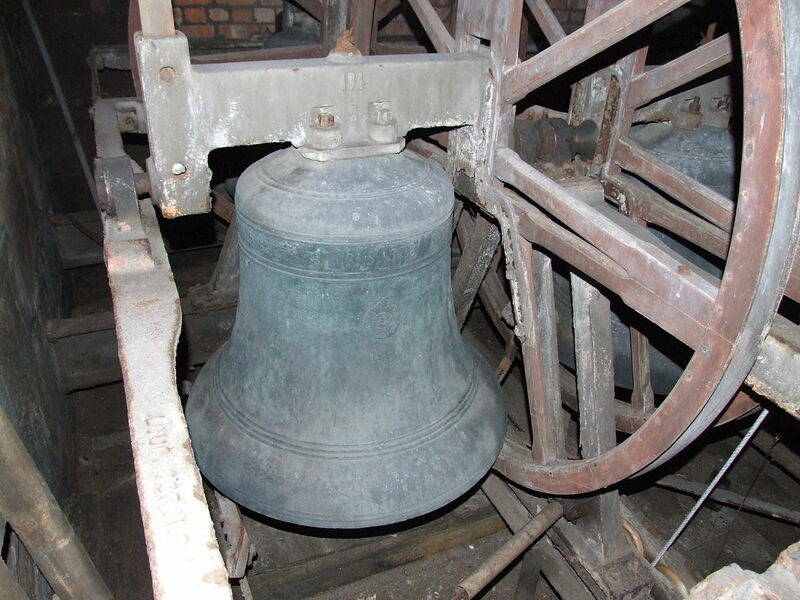 puts"This program uses a sample based chimes voice to simulate a peal of 8 bells"
puts "Bristol Surprise Major Quarter Peal (8 bells)"
puts "Bells tuned as the bells in St. Peter's Oundle"
puts "Peal listed here http://ringing.org/main/pages/method?name=Bristol&class=4&stage=8"
puts (ch.length / 8).to_s + " changes"
puts "time taken "+(ch.length.to_f * 0.4/60).to_s+" minutes"
It would ring the bells of Heaven the greatest joy for years if parson lost his senses and the people came to theirs.